It goes without saying that I will be delving into spoiler territory in this article. So if you’re one of the four people who has yet to seen The Force Awakens, I would advise you read another article on this site. During my Christmas period of drinking and eating too much while visiting various relatives (some of which I didn’t know existed), the topic of Star Wars came up a few times. After all, the recent release of The Force Awakens is probably one of the biggest cinema events in a long time. What is the character good at? Both internally and externally. Example, are they good at building things? Good in combat? Are they charismatic and persuasive? On the flipside, what are they not good at? Do they have fears? Are they a poor leader? Do they have a temper that gets them into trouble? Do they have a disability that hinders them? Do the characters have an active role in the narrative? Are they leading the way, making the decisions? Do they shy away? This can be linked to a character’s strengths and weaknesses? Finally, do the characters have some kind of history that affects their decisions or outlook on life up to this point? Do we get a sense that this character has been to many places, interacted with many people. experienced different emotions. Was this character an only child? Did they have to mature very quickly? Have they been stepped on their entire life? What do the characters want? What are their goals? Do they want world peace? Lots of money? Absolute power? Do they just want want to get laid?! Using these points, I think you can show that the new characters are just as layered as their Original trilogy counterparts while at the same time having some alterations to help not make them carbon copies. Not only that but some of the new characters actually subvert audience’s expectations of them bringing a fresher look at the Star Wars cinematic universe. For the purposes of this, I shall be comparing our new quartet of main characters to the four main characters from the trilogy based solely on A New Hope. Anybody who has seen The Force Awakens…or even just the trailers can tell straight away that Rey is supposed to be our new Luke Skywalker like character. Straight away we know that she lives on a desert planet and we later find that she doesn’t know anything about her parents. There are clear parallels to Luke in the story beats too such as coming upon BB8, the droid hiding secret documents that need to be returned to it’s master. Just like Luke, Rey has a strength in that she is good with machines and tinkering with them as well as her experience in flying. Luke and Rey both share in the same agency that they both want to return their droids to their rightful masters and therefore drive the narrative of the film in the first third of their respective films. However they’re not completely alike. Take Luke Skywalker first. We all know about his desire to leave Tattooine behind. He believes his destiny lies out in space fighting the Empire. That much is made pretty clear in that classic shot of Luke looking out to the dual suns in the Tattooine sky. Meanwhile Rey is a little different. She believes her destiny lies elsewhere. She believes it is on Jakku hence why she is waiting for her parents to return to her. It’s only after the First Order start shaking things up in Jakku that she is forced to leave. While Luke is only thinking of what lies ahead for him, Rey is only concerned of what is in her past. The character of Maz Kanata even says this line just to make it clear for the audience! Rey is a strong character. She has strengths like Luke but her weakness is that she’s stuck in the past. Unlike Luke in A New Hope, she has a history that we as an audience are clued into. 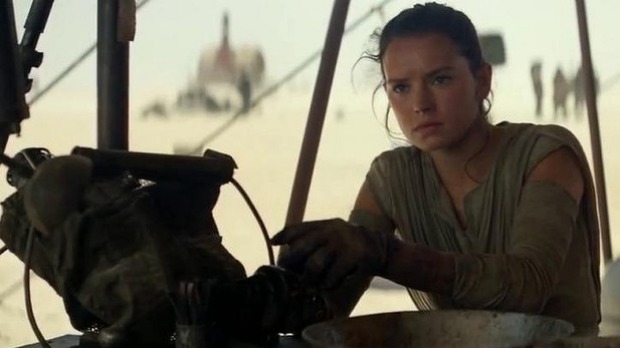 We know that she was left on Jakku and therefore she has had to fend for herself, she had to feed herself, make money and be an independant person. She probably had to mature quickly too. Then there is her history with the Force that is hinted at through the film. Rey is a great character. You’re probably thinking that Han to Finn isn’t as solid a transition as Luke to Rey is and to be honest, it’s not perfect but I think it works. Just like Han, Finn is loyal to our main character to the end though his loyalty is tested. Let’s not forget that Han wanted no part in the war between the Empire and the Rebellion. He was only in it for the money. Same here, Finn didn’t want to be a part of the fight between the First Order and the Resistance. First he balked at the prospect of killing innocents on Jakku as a stormtrooper. Then as soon as he got to Maz’s tavern, he was looking for a way off. Not because his motivation lies elsewhere, but because he was afraid. 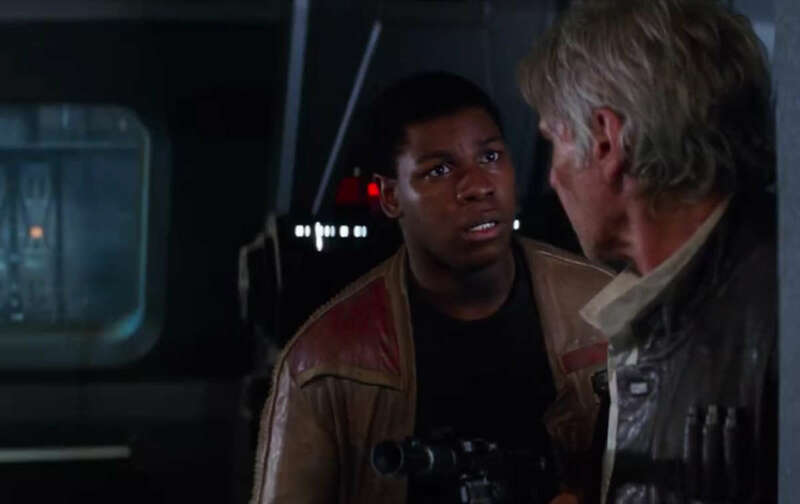 While Finn’s strength is his good moral compass (“It’s the right thing to do.”) but his weakness is his fear. There’s a nice contradiction there in his character which is interesting to his character. Not only that but his history plays into this too. We know that he has been trained to be a stormtrooper since his early years. He has basically been bred for war and yet, in his first skirmish, he does not nothing. That’s inner conflict and that helps make Finn a good character. This one’s a little harder. One thing they do have in common is they are probably the least developed of the quarter in their respective films. A lot of Leia’s intricacies were filled in during the second and third installment of the trilogy which is what I am hoping for in Episodes 8 and 9 for Poe. In both films, they are figureheads for the Rebellion/Resistance. Leia is a high ranking official and a Princess. While Poe is “the best pilot in the Resistance”. Clearly they have influence. Both characters also kick off the narrative in their respective films, both of them hide secret documents in their droids at the beginning of the film (poetry, I guess). Furthermore both are shown to be strong characters with a little fire to them. Even in the face of torture (or in Leia’s case, mass genocide), both characters kept their cool and showed they had a bit of wit about them. (Poe’s “So do you start or do I” in his torture scene). Unfortunately, that’s about as far as Poe’s development goes save his his friendship with Finn. Hopefully, just like with Leia, we get more layers to him in Episodes 8 and 9. Captured by the Imperials. What’s the first thing she does? Tells Tarkin he smells! Now we’re talking! A guy with a dominating grasp of the force who walks around dressed in black with an intimidating red lightsaber….Darth Vader is a great villain in A New Hope but he’s a shadow of the tortuous person he would become in just the first installment. I struggled to come up with a weakness for Darth Vader based on A New Hope alone. Same with his history as a character. All I could think was that his ominous breathing apparatus hints at him being an experienced fighter who has seen all sort of combat as well as his high ranking in the Imperial army. His desire as a character is a little vague or just too all encompassing. He wanted to squash the Rebellion, that was just about it. But then take Kylo Ren. Just like Vader, he has a grasp of the dark side of the force and has a high ranking position in the First Order. But Kylo has history and weaknesses to go along with that. His history is that he is the son of two high ranking figures in the Rebellion and also received some sort of tutelage from Luke Skywalker himself. As a result of that, his weakness is that he is still torn between the dark side and the light side of the force. Not only that, but he has inner turmoil in that he feels he cannot stand up to the standard set by Grandad Vader and isn’t worthy of being a Sith Lord. On top of that, we learn that behind that intimidating mask, he’s practically a bratty kid who gets somewhat pushed around by General Hux in front of his master. Could you imagine Vader letting Grand Moff Tarkin push him around like that in front of Palpatine?! 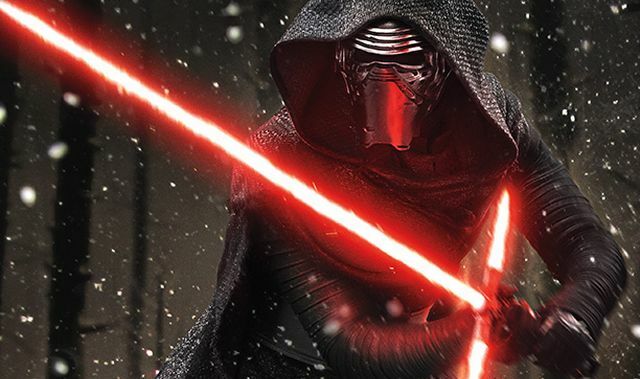 Kylo Ren is a young person who has a lot of pressure being mounted on to him. Then to top it all off, he gets bested in the force by some newbie Jedi called Rey. It’s brilliant and Kylo Ren was easily my favourite character of the new quartet. My hope was that The Force Awakens would be a passing of the torch film that would allow a new set of characters come in and lead the way for the new Disney backed Star Wars film and other media. It wasn’t quite that but it’s a good start and I know that eventually when Leia and Luke take their leave of the franchise, they have a good set of characters who are multi layered (fingers crossed for Poe!) and interesting for audiences to attach themselves to just as a generation did nearly forty years ago.